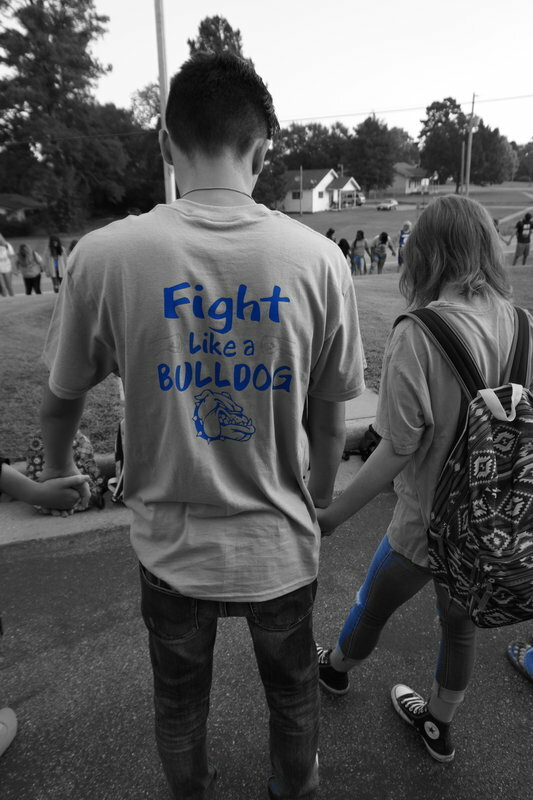 On September 27th, 2017 at approximately 10:30 a.m the Star City school district held a k-12 pep rally at Bulldog Stadium in honor of one of the students attending here. Eric Williams, a seventh grade student battling stage 1 Leukemia was diagnosed in the summer of 2017. Our school held this pep rally not only for him but for his family to show that Star City Schools stand behind our students in the battles that we endure everyday. On this day the whole school wore orange and other shirts that showed their support of Eric’s situation. Orange rubber bracelets were given out free of charge to everyone who attended. At the pep rally the cheerleaders energized the crowd and modified their cheers to root for Eric. The seventh grade football team dedicated this season to Eric and signed a football to give to him. The high school bulldog regiment included the seventh grade band members to be apart of the pep rally on this special day as Eric plays in the percussion section. At this event we had a very special guest to attend to also show his support for Eric. Star City mayor, Paul Carter, made a proclamation that from that day on September 27th would be known as Eric Williams day. 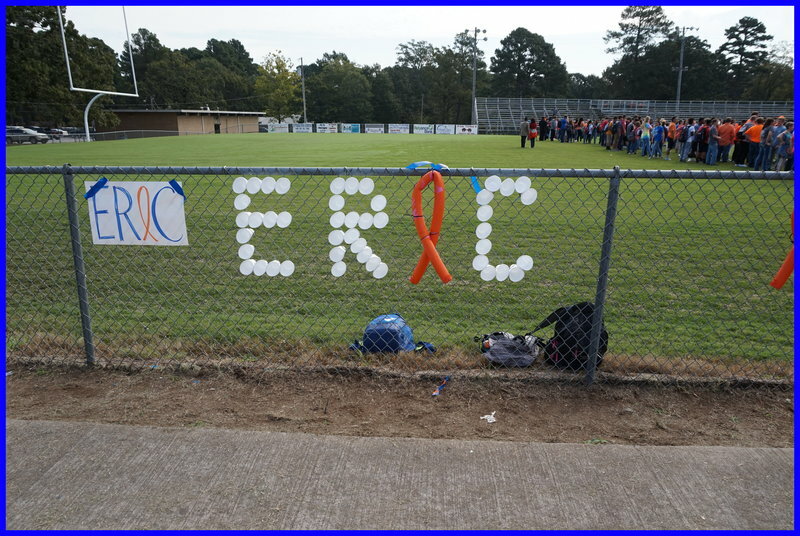 The stadium was filled with love, support and focused on Eric instead of individual problems. We all came together as one big Bulldog family to show him how much he is cared for and to know his is not fighting this battle alone.